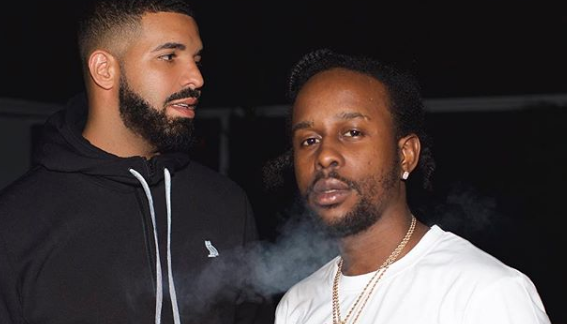 Drake finally got his moment to call out his close friend Popcaan on Saturday night. The Dancehall entertainer got a taste of his own medicine when Drizzy issued him a ‘Y’ for his recent Instagram video. The ‘Y’ movement was started by Popcaan and his Unruly Camp, it highlights double entendre statements. In a clip uploaded to Popcaan’s IG account, the “Family” deejay complained about a pimple that appeared on his face. “Weh deh big bump yah forward from in a man face dawg, is Suriname bump this?,” he questioned. Poppy’s comment was enough for Drake who rushed in the comment section, “Yyyyyy fi fwd pon man face,” he wrote. Meanwhile, Popcaan officially signed to Drake’s OVO label early this month.